While the rest of the world is discussing whether cyclists should be allowed on sidewalks, highways, or still just really figuring out the ethics of both urban and outdoor cycling, one entrepreneur from New Zealand decided to give bikes a brand new playground. 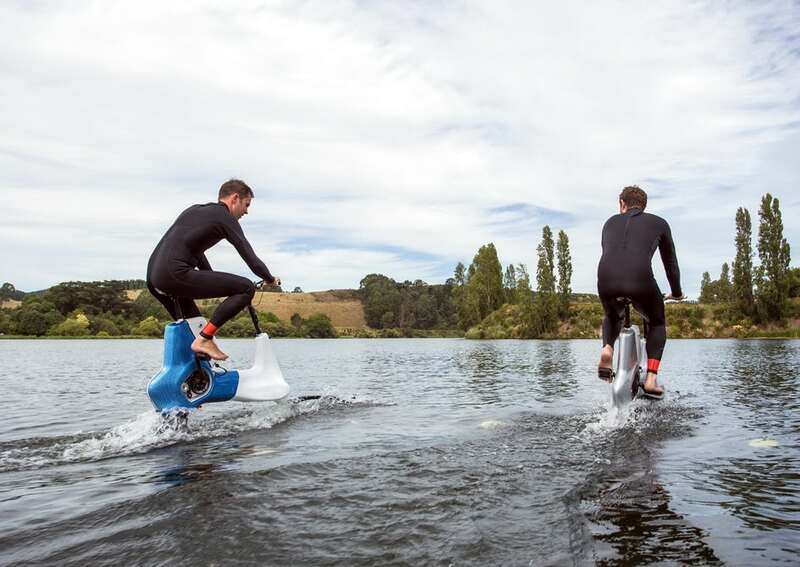 Back in 2010, Guy Howard-Willis started to wonder about the hydrofoil bicycle – in layman terms, a bike that can ride on water. He joined forces with a bicycle designer Roland Alonso and, seven years of constructing later, the Manta5 electric-assist pedal-powered hydrofoil bike is ready to hit the market. At first sight, Manta5 looks like a stationary bike and water jet ski lovechild. The whole gadget has an aluminium frame and weighs around 20 kg (44 lbs), and can be partially disassembled for transport in the back of a car. It’s designed for riders weighing between 70 and 100 kg (154 and 220 lbs), and can be used in both fresh and salt bodies of water. Although Howard-Willis admits that Manta5 has some learning curve, mastering it is like, well, riding a bike for the first time. You don’t have to worry about tipping over, the bike has buoyancy modules that allow it to stay upright, even if you decide to dismount and get back up while in the middle of a lake. Manta5 also features two carbon fibre hydrofoils that provide lift, and a 400-watt motor that boosts the rider’s pedalling power to turn the propeller. 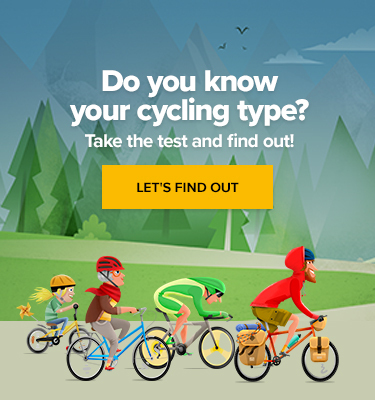 The same with electric bicycles, you can adjust the amount of assistance you need while you ride (sail?) depending on how hard you want to exercise. The existing prototype can reach a top speed of 15 to 20 km/h (9 to 12 mph) and one removable battery charge will get you about one hour of aquatic cavorting. But the first limited-edition model, the Hydrofoiler XE-1, which should debut mid-November, makes promises to have more battery stamina and be even faster. The price is yet to be disclosed but, according to the inventor, it should be “similar to that of other quality water sports products.” Although the pre-sale should start late 2017/early 2018, the delivery is estimated for late 2018, so we’ll have plenty of time to see how realistic all those aspiring plans were.